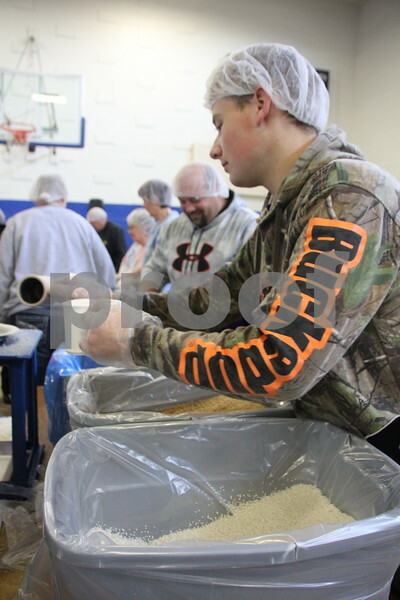 Saturday, December 5, 2015, Fort Dodge Christian Community School put on their 1st Annual Packing Meals for Starving Children event. 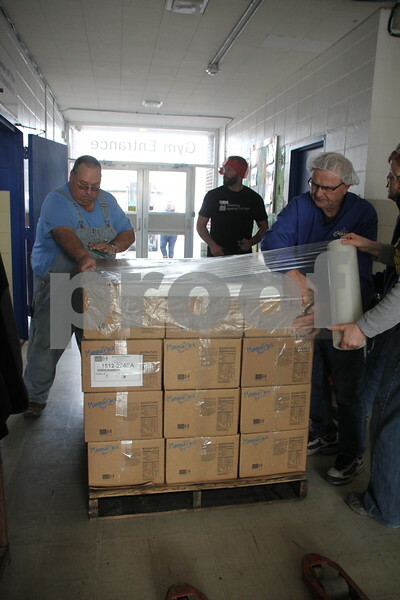 At the time these pictures were being taken, there were 178 volunteers on hand not including those volunteering in others areas not involving packing the meals. 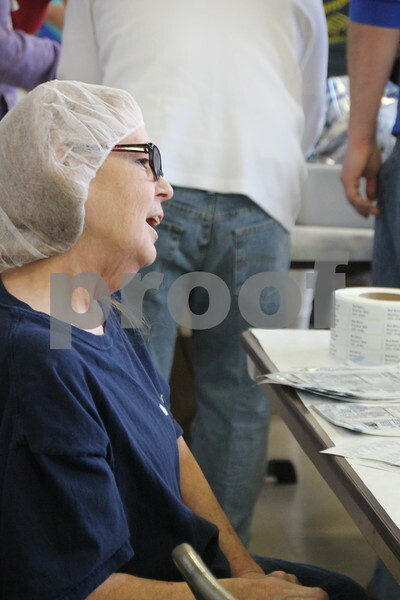 Pictured here is : Diane Bodenberger, enjoying the music played while she and other volunteers worked. 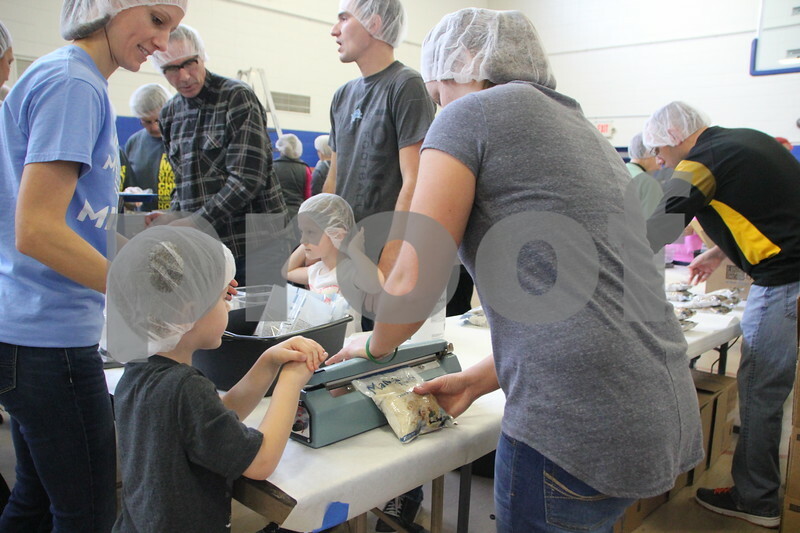 Saturday, December 5, 2015, Fort Dodge Christian Community School put on their 1st Annual Packing Meals for Starving Children event. 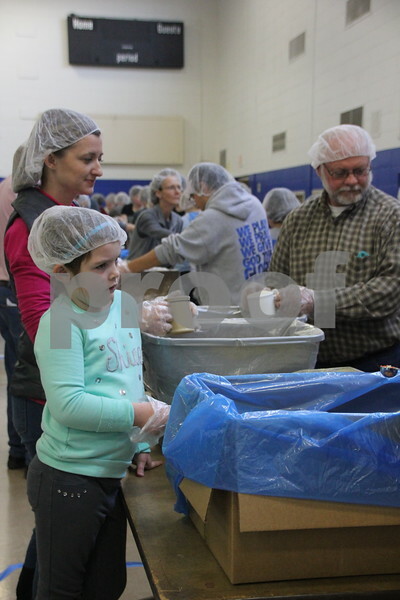 At the time these pictures were being taken, there were 178 volunteers on hand not including those volunteering in others areas not involving packing the meals. 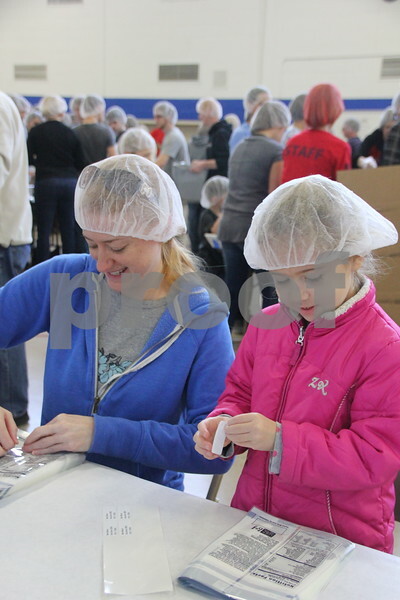 Pictured here (left to right) is : Emily McCullough, and daughter, Eliza McCullough working in the label section of the process. 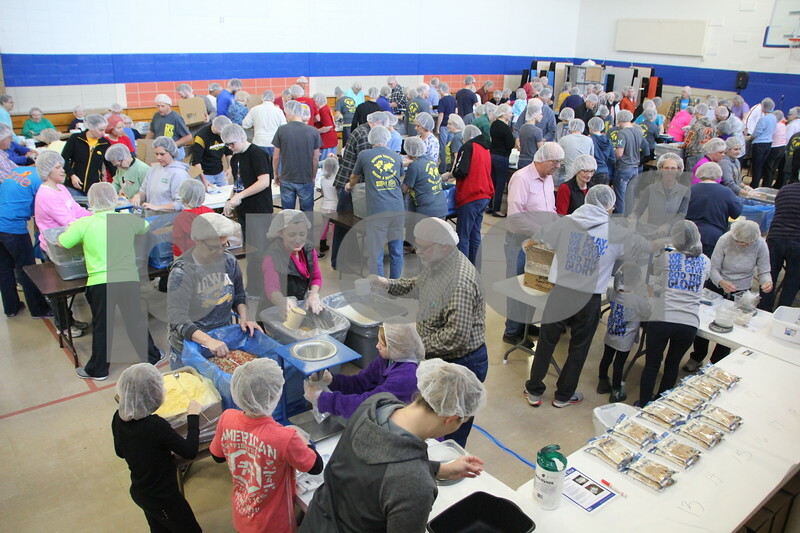 Saturday, December 5, 2015, Fort Dodge Christian Community School put on their 1st Annual Packing Meals for Starving Children event. 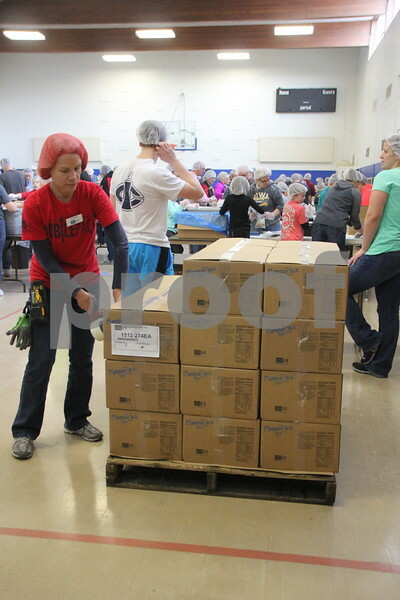 At the time these pictures were being taken, there were 178 volunteers on hand not including those volunteering in others areas not involving packing the meals. 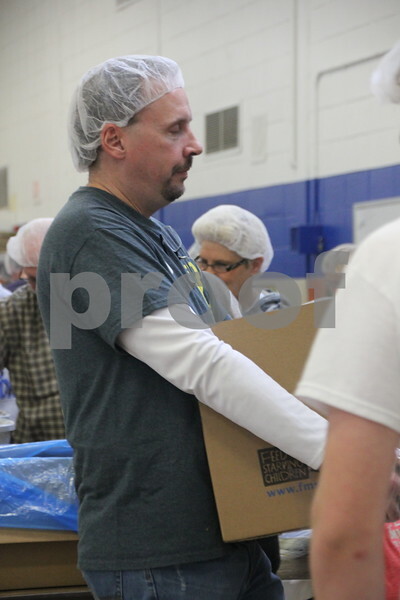 Pictured here is : Gary Edgerton. 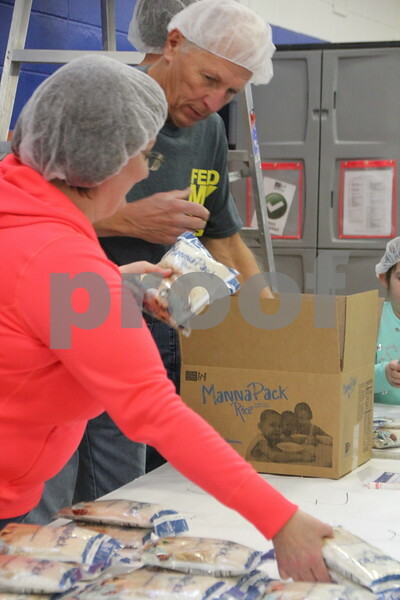 Saturday, December 5, 2015, Fort Dodge Christian Community School put on their 1st Annual Packing Meals for Starving Children event. 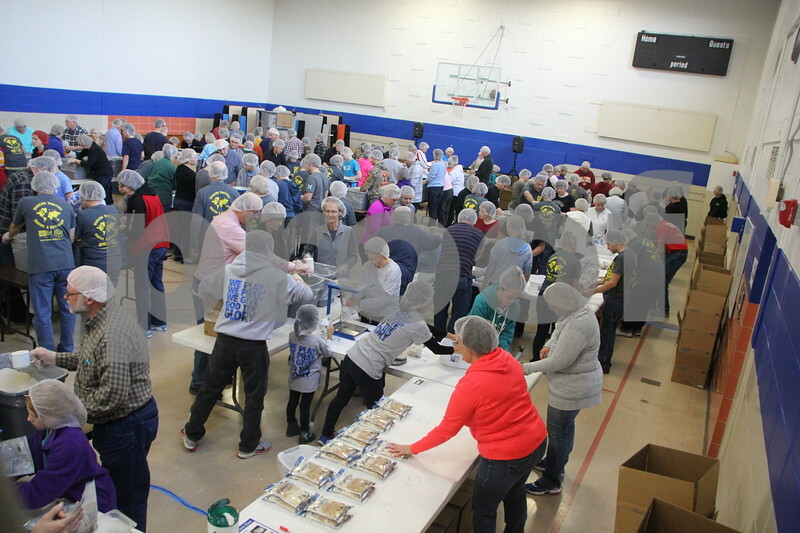 At the time these pictures were being taken, there were 178 volunteers on hand not including those volunteering in others areas not involving packing the meals. Seen here is: Ryan Hefley. 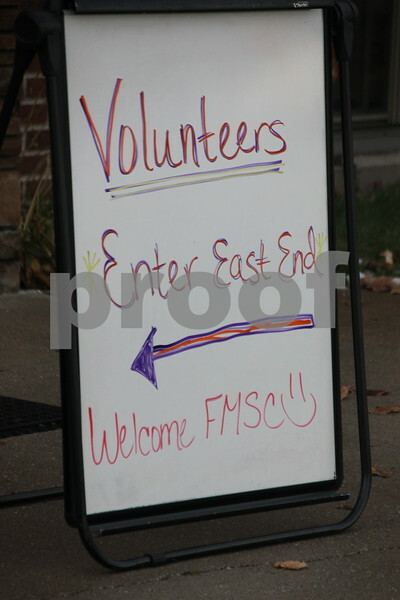 There was a wide range of ages present who volunteered their time and energy to the event. 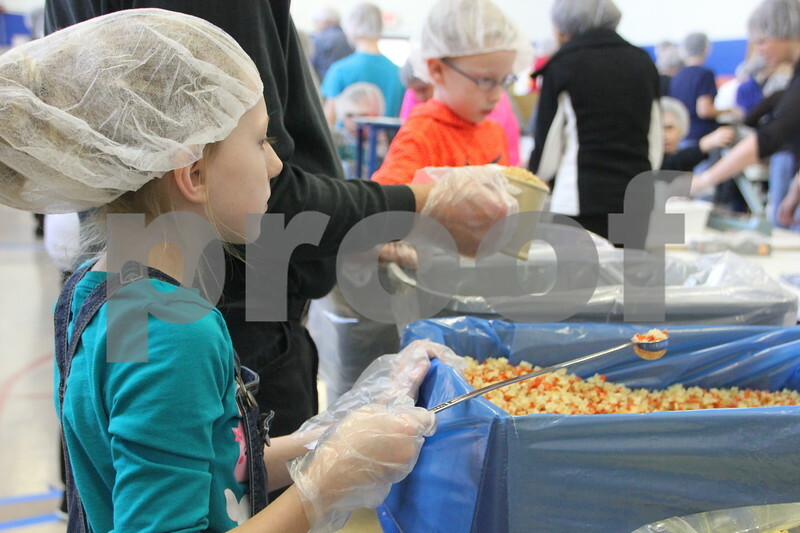 Saturday, December 5, 2015, Fort Dodge Christian Community School put on their 1st Annual Packing Meals for Starving Children event. 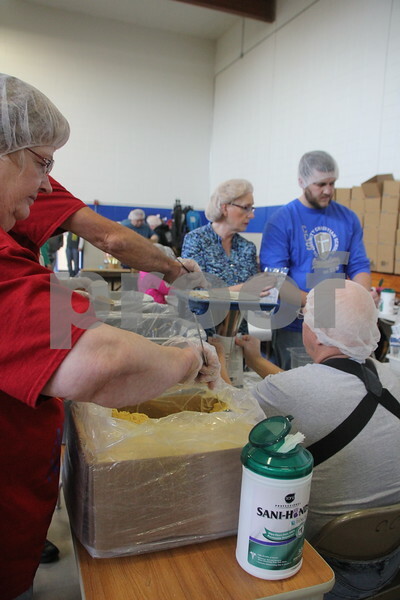 At the time these pictures were being taken, there were 178 volunteers on hand not including those volunteering in others areas not involving packing the meals.There was a wide range of ages present who volunteered their time and energy to the event. 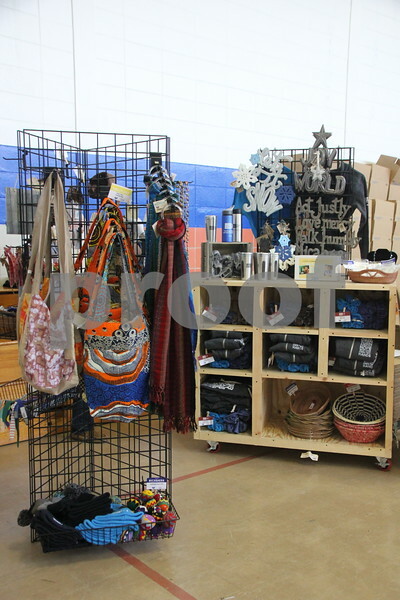 Seen here is: Krystal Rozeboom. 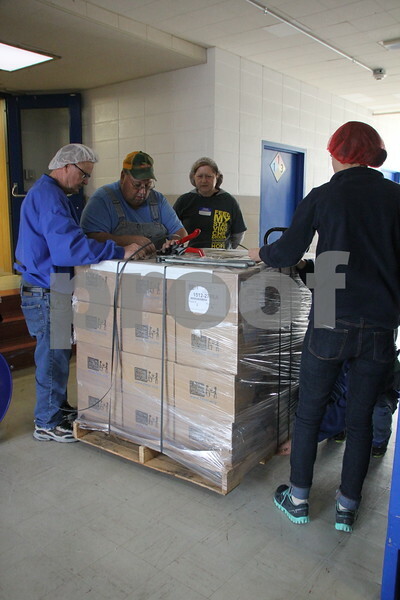 Packing the meals into boxes took place in the school gymnasium which was designated as the staging area. 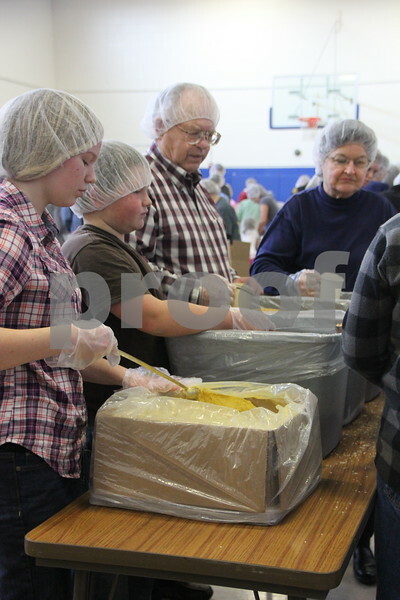 Saturday, December 5, 2015, Fort Dodge Christian Community School put on their 1st Annual Packing Meals for Starving Children event. 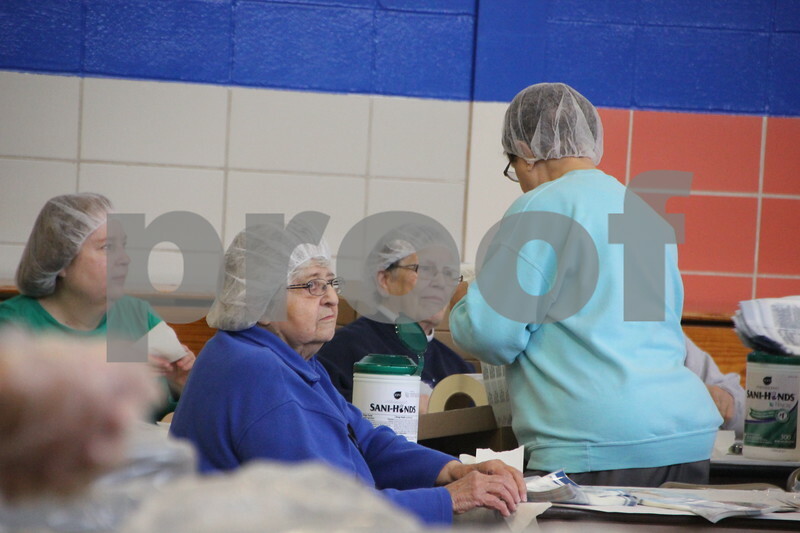 At the time these pictures were being taken, there were 178 volunteers on hand not including those volunteering in others areas not involving packing the meals.There was a wide range of ages present who volunteered their time and energy to the event. Seen here is:Tessa Lyon. 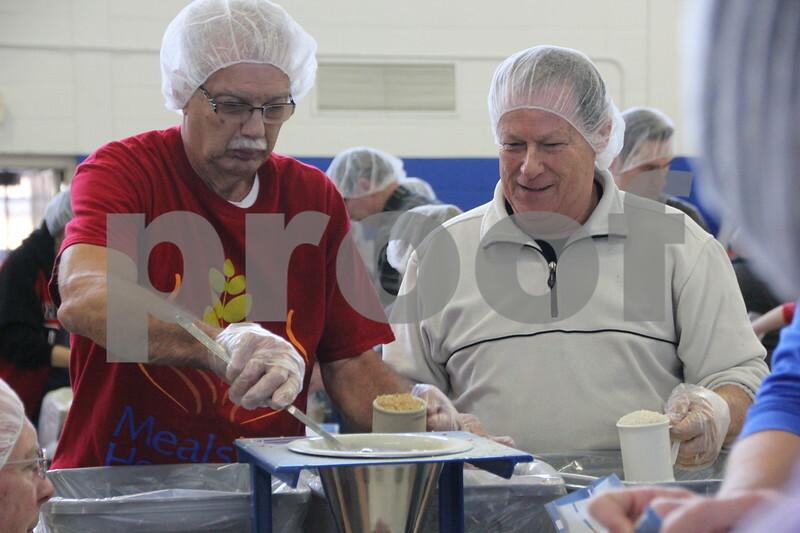 Packing the meals into boxes took place in the school gymnasium which was designated as the staging area. 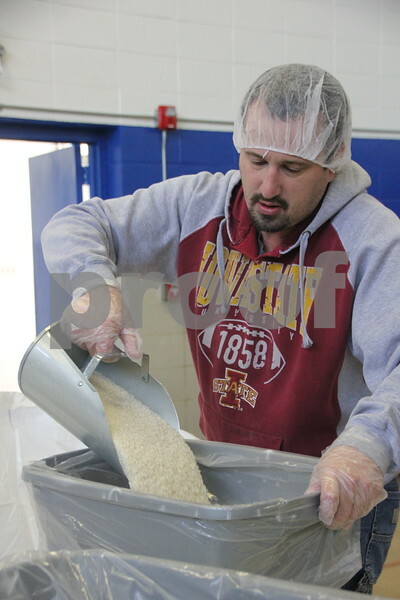 Seen here is Jerry Richman , refilling tubs of rice to be bagged and packed. 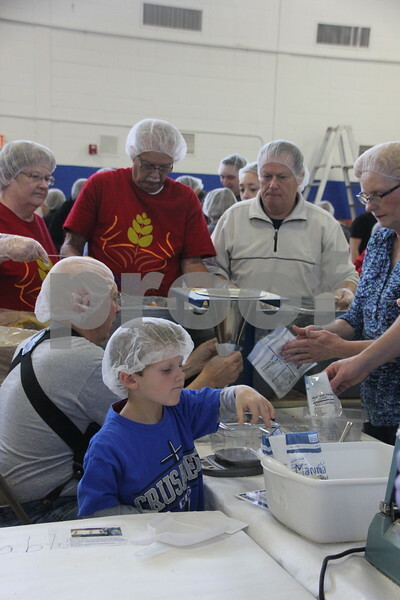 Saturday, December 5, 2015, Fort Dodge Christian Community School put on their 1st Annual Packing Meals for Starving Children event. 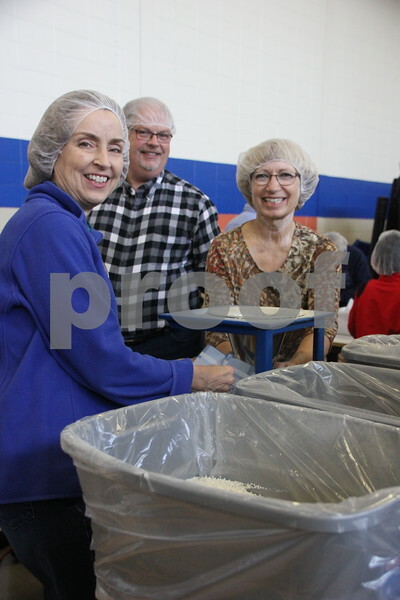 At the time these pictures were being taken, there were 178 volunteers on hand not including those volunteering in others areas not involving packing the meals.There was a wide range of ages present who volunteered their time and energy to the event. 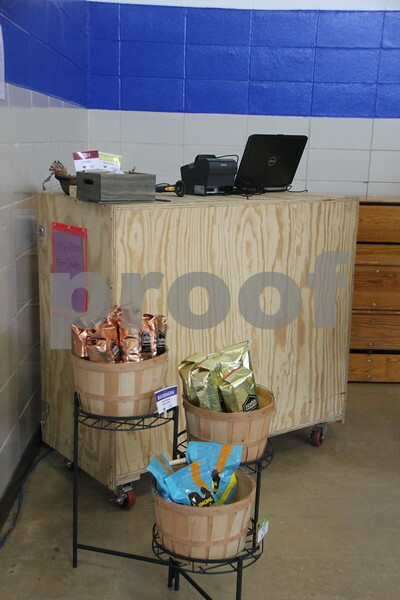 The school gymnasium was set up as the staging area to pack the meals into boxes. 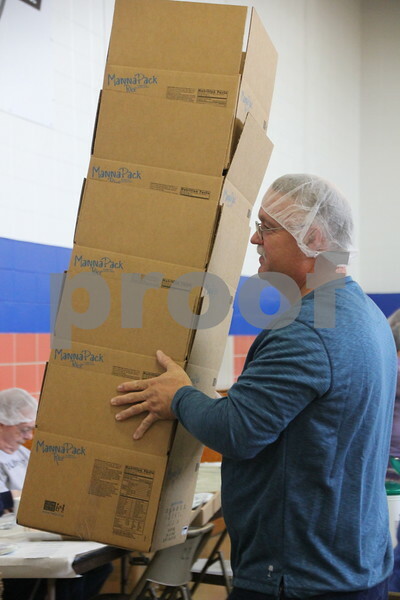 Pictured is Lonny Brandel , restocking empty boxes to be packed with food. 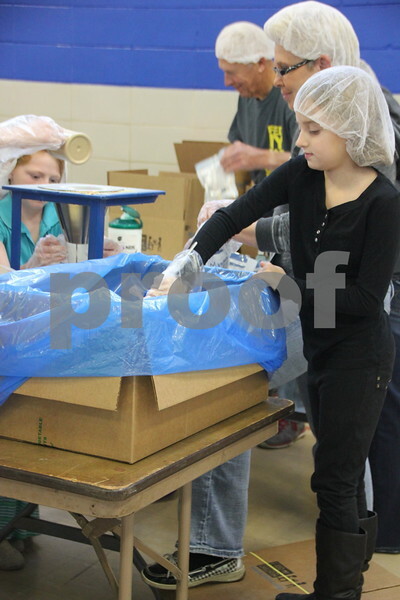 Saturday, December 5, 2015, Fort Dodge Christian Community School put on their 1st Annual Packing Meals for Starving Children event. 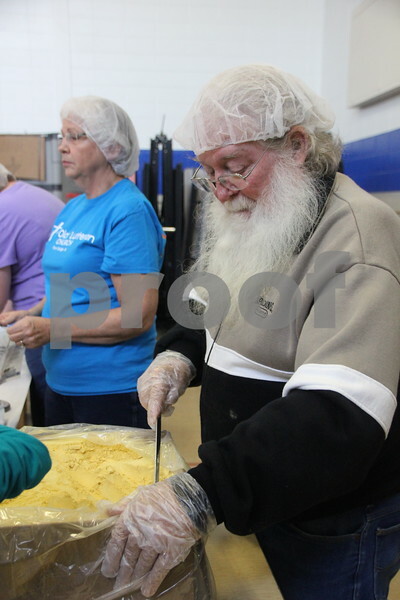 At the time these pictures were being taken, there were 178 volunteers on hand not including those volunteering in others areas not involving packing the meals. 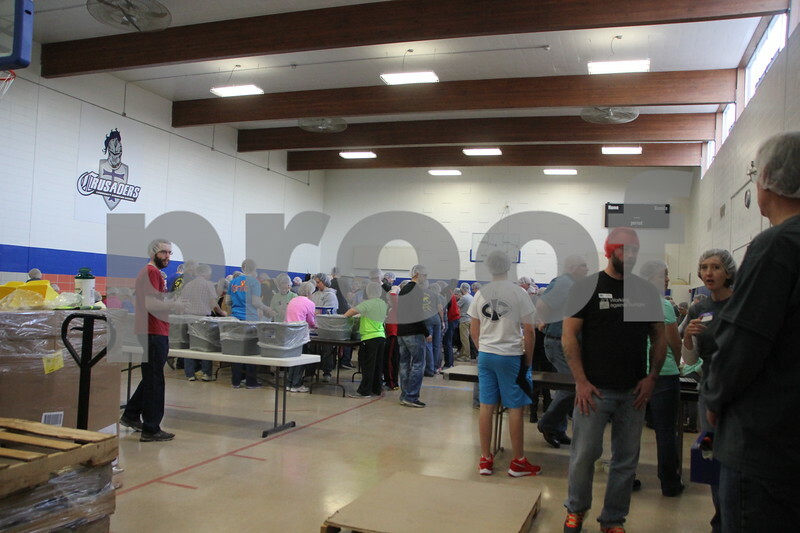 The staging area for packing the meals into boxes was the school gymnasium. 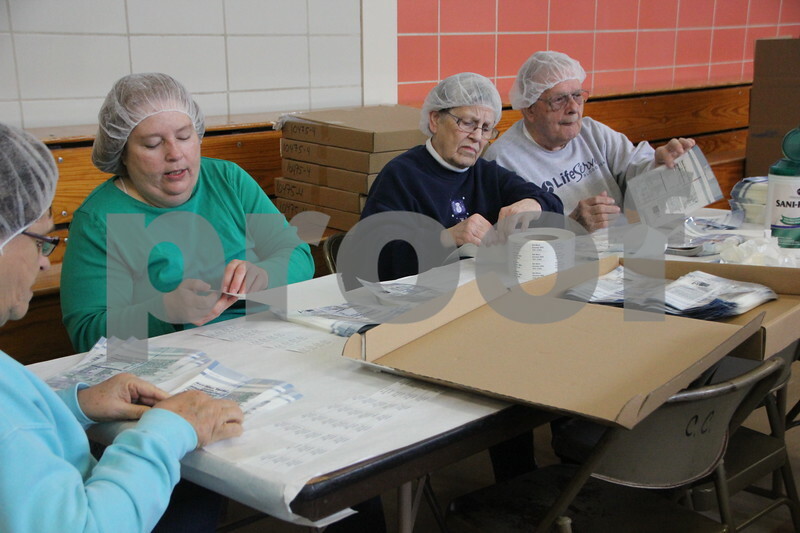 Pictured (left to right) is: Jeanette Tedeschi, Terry Pavel, and Charlene Anderson bagging rice to be sealed and packed into boxes. 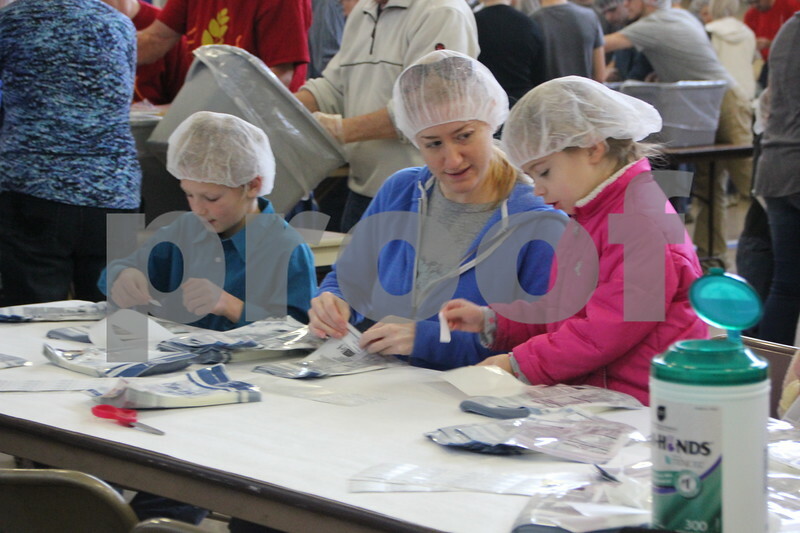 Saturday, December 5, 2015, Fort Dodge Christian Community School put on their 1st Annual Packing Meals for Starving Children event. 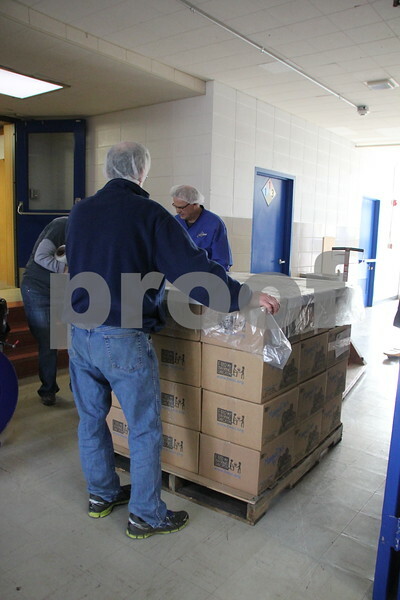 The school Gymnasium was the staging area for packing the meals into boxes. 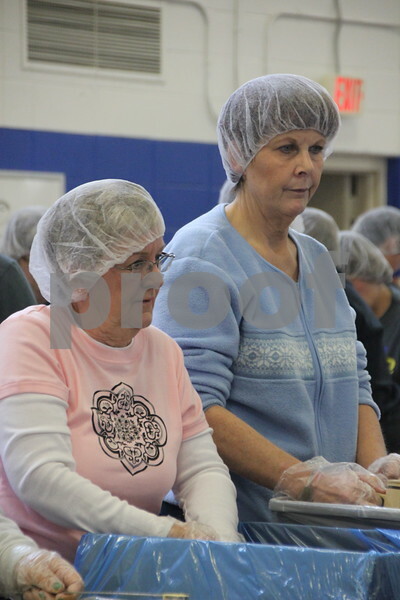 Pictured (left to right) is: Bev Longnecker, and Holly Legg, bagging rice to be sealed and packed into boxes. 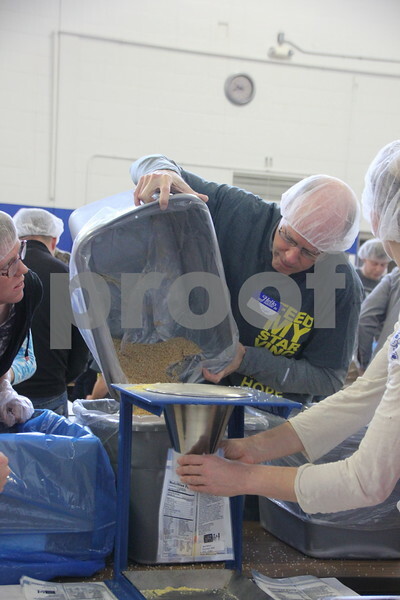 Saturday, December 5, 2015, Fort Dodge Christian Community School put on their 1st Annual Packing Meals for Starving Children event. 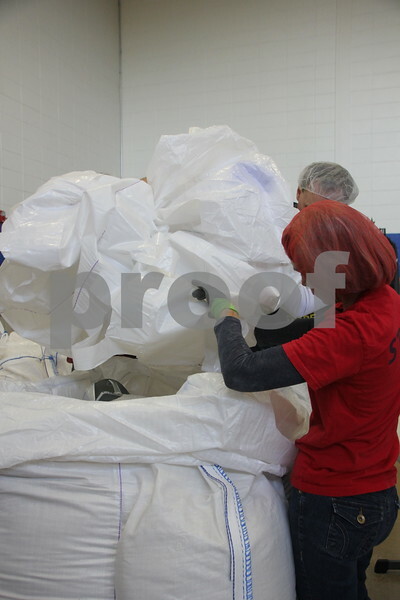 The school gymnasium was the staging area for the packing. 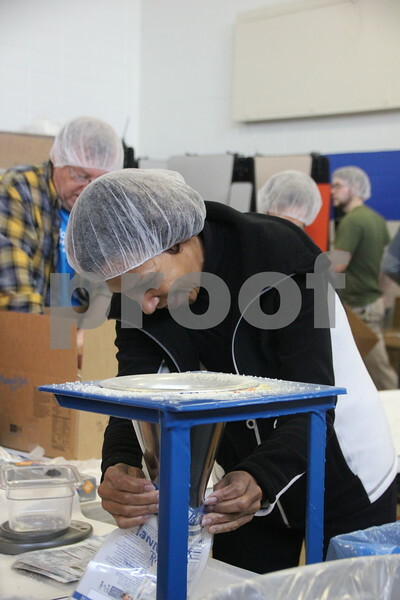 Clarice Thompson fills bags of rice to be sealed and packed into boxes. 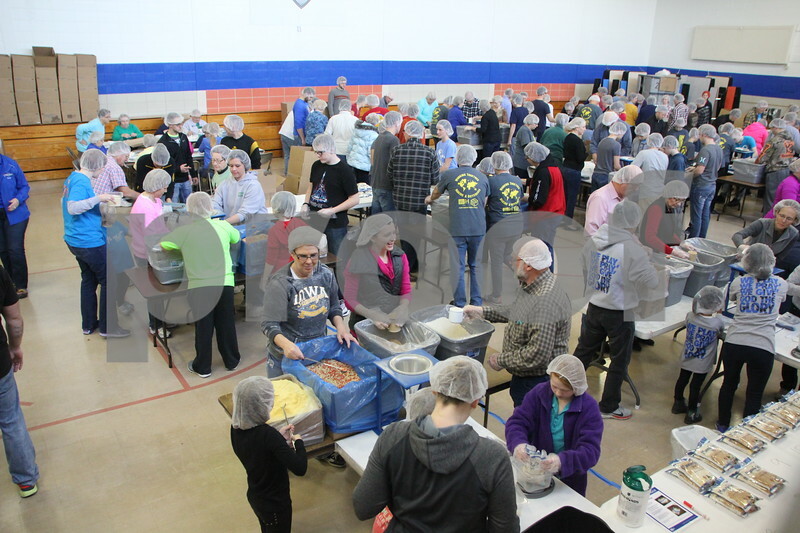 Saturday, December 5, 2015, Fort Dodge Christian Community School put on their 1st Annual Packing Meals for Starving Children event. 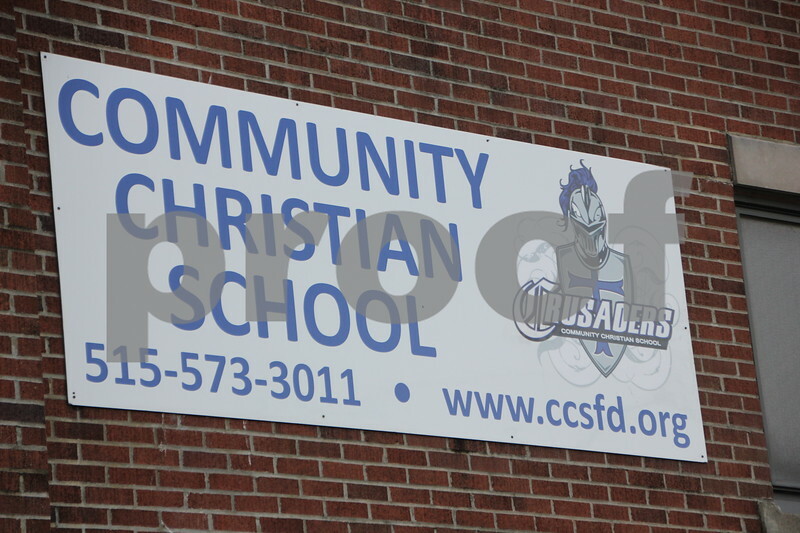 The event was staged in the school gymnasium. 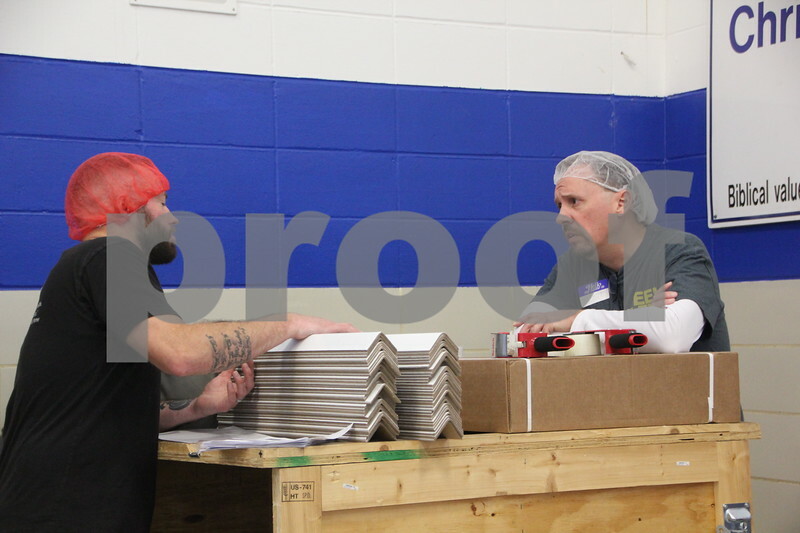 Geoff Astor seals packed boxes. 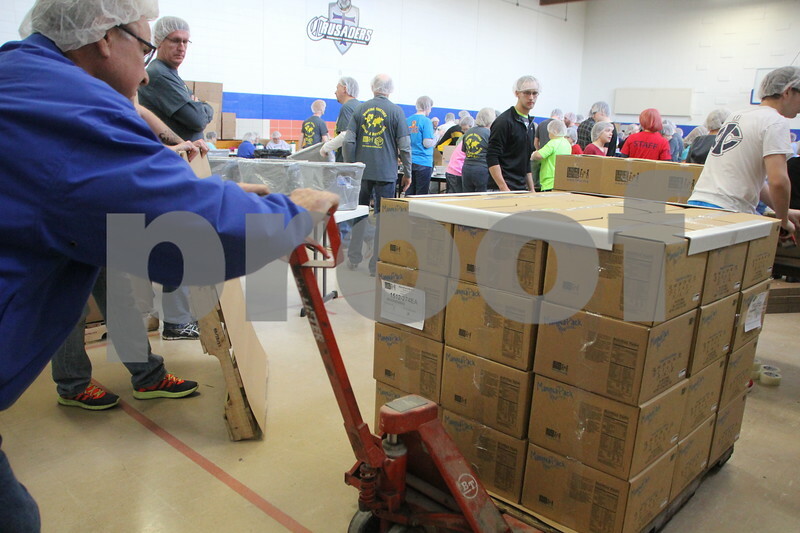 Saturday, December 5, 2015, Fort Dodge Christian Community School put on their 1st Annual Packing Meals for Starving Children event. The event was staged in the school gymnasium. 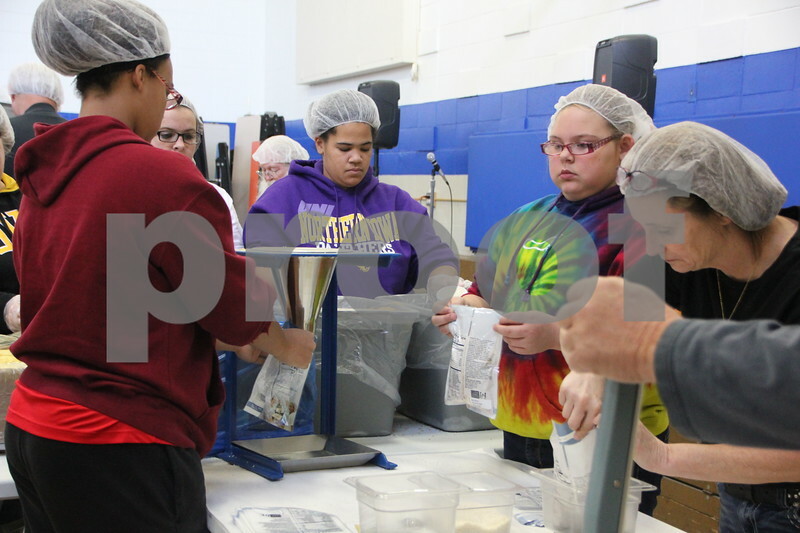 Saturday, December 5, 2015, Fort Dodge Christian Community School put on their 1st Annual Packing Meals for Starving Children event. 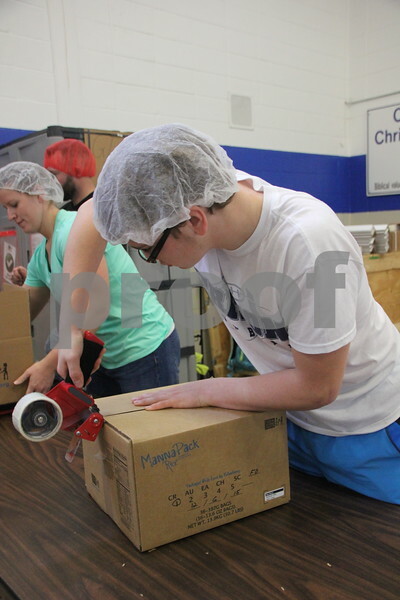 Seen here, delivering a box to the next stage in the process is Scott Hatton. The event was staged in the school gymnasium.